Hand-harvested, pure & natural British sea salt with our Togarashi – a fiery blend of chilli, black & white sesame seeds, citrus zest, seaweed, ginger & szechuan pepper. 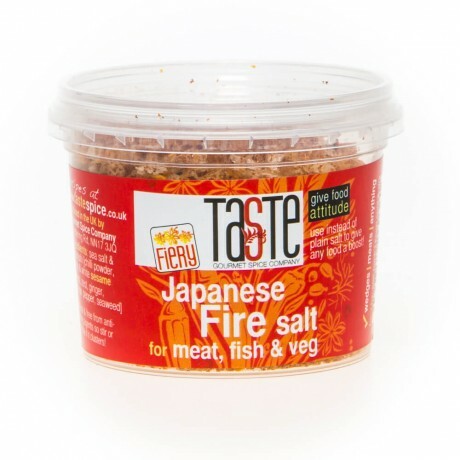 This really is an incredible finishing salt and adds massive depth of flavour with a spicy kick to meats, roast veg, prawns, fish & much more. One of our most unusual salts and one destined to become a classic.